HILLSBOROUGH, NJ--(Marketwired - Jan 7, 2015) - The International Congress of Oral Implantologists (ICOI) has announced that Dr. John D. Beckwith, a cosmetic and restorative dentist in Hillsborough, recently earned Fellowship status in its organization. To be designated as a Fellow of the ICOI, active members are required to attain formal dental implant education and training, display proficiency in surgical and restorative protocols, and pass testing requirements. In addition, select cases and treatments are selected by examiners and critiqued. Dr. Beckwith has long been associated with organizations dedicated to the advancement of implant dentistry and has completed a number of advanced dental implant training courses. The ICOI is a non-profit, global dental education organization that is committed to improving dental implantology and communicating scientific knowledge about implant dentistry. The organization holds a number of annual conferences and provides continued support for education and research. As the head of Cornerstone Dental, a cosmetic and implant dentistry practice in Hillsborough, Dr. Beckwith offers dental implant procedures such as single-tooth dental implants and anchored dentures to help patients replace missing teeth with results that look and feel as natural as possible. Dr. Beckwith was named a Fellow of The International Congress of Oral Implantologists on September 25th, 2014. Dr. John D. Beckwith has been a practicing dentist for more than 27 years. 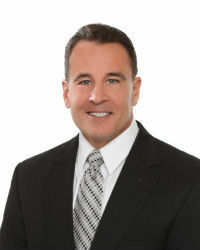 In addition to his recent designation as a Fellow of The International Congress of Oral Implantologists, Dr. Beckwith is an Associate Fellow of the American Academy of Implant Dentistry and a member of the American Academy of Cosmetic Dentistry, the American Orthodontic Society, and other dental organizations. After earning his dental degree at the University of Pennsylvania School of Dental Medicine, Dr. Beckwith completed a pediatric fellowship at the Institute of Growth and Development. His practice offers a range of general, restorative, and cosmetic dentistry procedures. Dr. Beckwith is available for interview upon request. To learn more about the practice, please visit cornerstonedentalnj.com or facebook.com/NJCornerstoneDental.